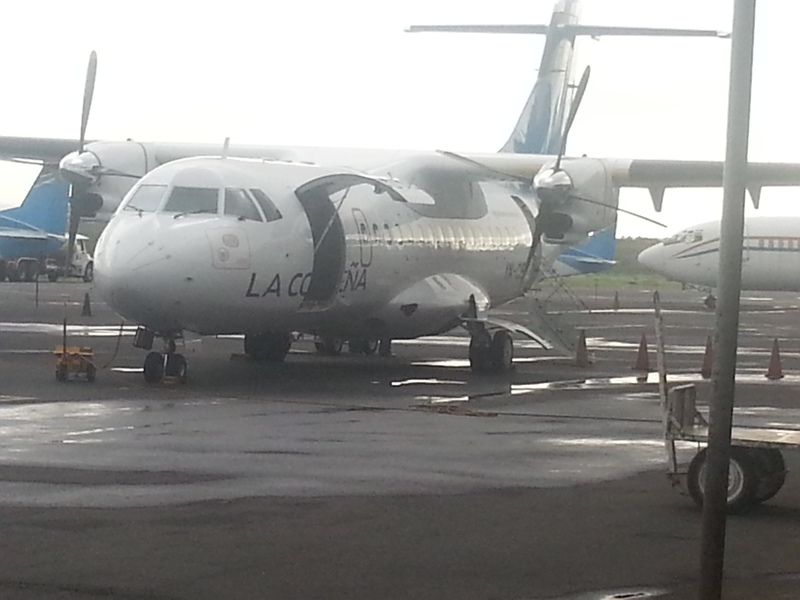 At the airport in Managua we boarded a small plane bound for the tiny Corn Islands, 45 miles off the Caribbean coast of Nicaragua. There are two islands here: Big Corn Island and (predictably) Little Corn Island. Those are their legal and legitimate names, not Islas del Maiz: English was instilled here when the islands were part of the British Mosquito Coast protectorate from 1655 to 1894, at which point Nicaragua claimed them. In 1914 Nicaragua leased them to the United States. The USA retained the right to use them until 1971, though it seems we were never very interested in the place. Good thing, too, because we probably would have used it for bomb practice or something. In any case, the principle language here is Creole English. Our intended destination was Little Corn, but our flight arrived at Brig Bay on Big Corn after the second and last boat of the day. The taxi driver we hired to take us to our lodgings at the Big Fish Cafe warned us there was a storm brewing, and that “the pangas may be not go” in the morning. This happens sometimes, when the waves are too big for the little open boats (I guess this is why the hotel on Little Corn recommended travel insurance… oh well). then enjoyed a dinner of grilled lobster and pork at the outdoor restaurant across the street from our hotel as the storm came in (luckily the thatched covering held). This entry was posted in Elsewhere, Islands and tagged Big Corn Island, Corn Islands, Nicaragua. Bookmark the permalink.